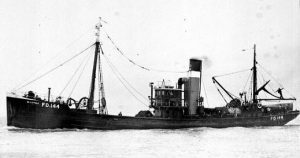 8.2.1906: Launched by Smith’s Dock Co Ltd, North Shields (Yd.No.785) for Henry Melling, Preston (managing owner) as ANNIE MELLING. 3.1906: Completed. Registered at Preston (PN61). 1907: Owners became The Melling Steam Trawling Co Ltd, Fleetwood (Henry Melling, Preston, manager). 4.1915: Requisitioned for war service as a minesweeper (1- 6pdr) (Ad.No.1593). 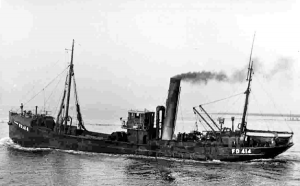 12.1918: Returned to owner at Fleetwood (Melling Trawlers Ltd, Fleetwood (Henry Melling, Preston, manager)). 1921: Sold to Thomas F. Kelsall, Fleetwood (managing owner). 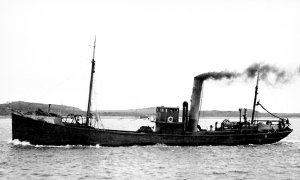 11.8.1922: Lost after collision off Tobermory. 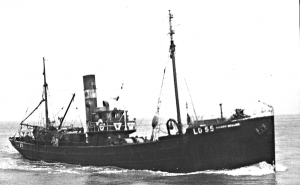 This entry was posted in Lost Vessels, Steam Trawlers, Steamers (Picture) and tagged Lost, Melling ST, T.F.Kelsall on January 21, 2009 by Fred Smith. 29.5.1919: Launched by C. Rennoldson & Co, South Shields (Yd.No.204)(“Castle” class) for The Admiralty as JOHN LEWIS. 30.3.1920: Completed as a fishing vessel. 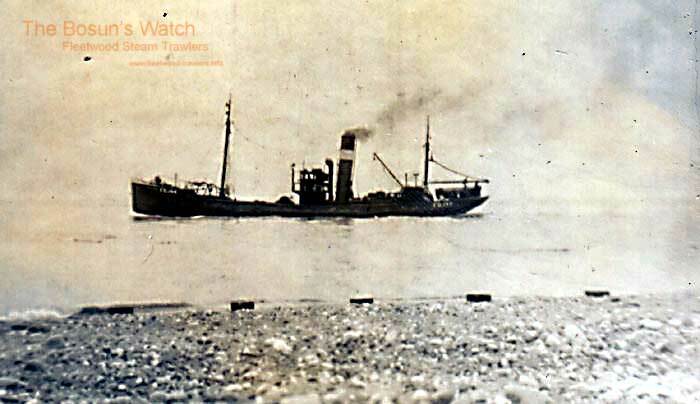 20.4.1920: Registered by The Admiralty as a fishing vessel at London (LO348). 11.1921: Sold to Melling Trawlers Ltd, Fleetwood (Henry Melling, manager). 29.11.1921: Registered at Fleetwood (FD397). 24.12.1921: Registered at Fleetwood as HARRY MELLING (FD397). 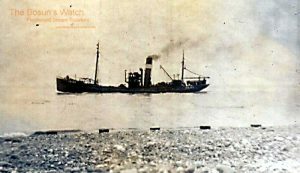 18/19.2.1929: Stood by KUMU (FD176) stranded in North Bay, St. Kilda. Connected and attempted to tow clear but unsuccessful and vessel sank in about 20fms, 42 hours after striking the rocks. Twelve crew taken off along with over £200 of fishing gear and crew returned to Fleetwood. 9.10.1931: Sold to William Melling, Penwortham & Joseph Melling, Preston. 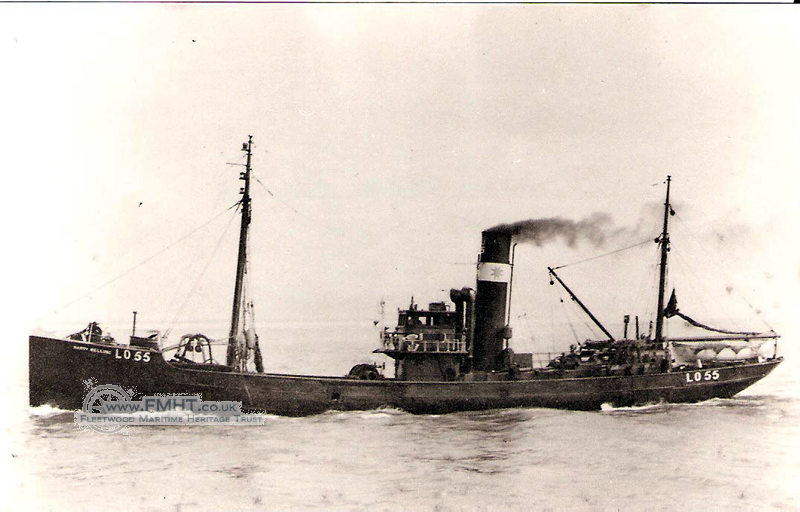 24.8.1932: Sold to Mellings Ltd, Fleetwood (William Melling, Penwortham, manager). 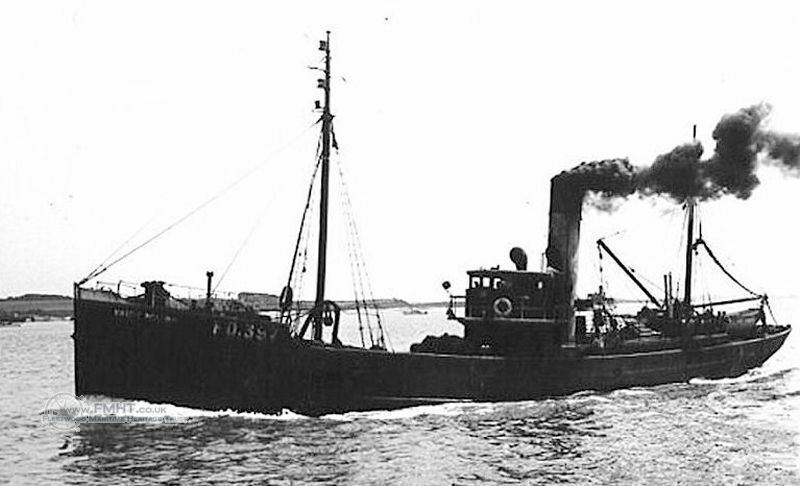 30.7.1935: Sold to Iago Steam Trawler Co Ltd, Fleetwood (Edward D. W. Lawford, manager). 9.10.1935: Registered at London (LO55). 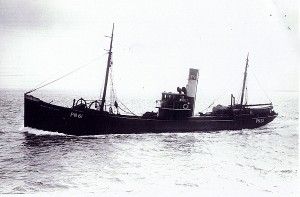 8.1939: Requisitioned for war service on examination service, later fitted out on the Tyne as a minesweeper (P.No. FY.538) (Hire rate £89.7.6d/month). 7.1945: Returned and re-classed at Port Glasgow. 1945: Sold to Messrs Yolland & Llewellin, Milford Haven. Fishing from Fleetwood. 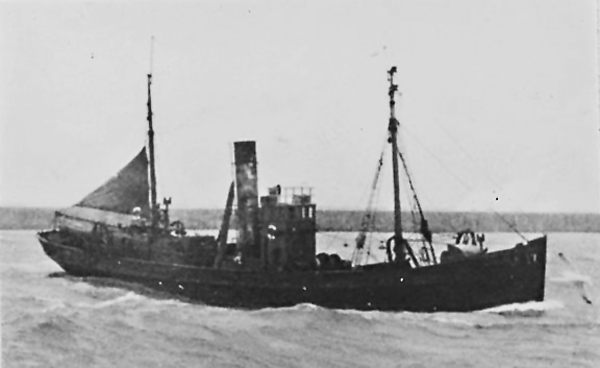 9.1.1946: Sold to J. C. Llewellin (Trawlers) Ltd, Milford Haven (John C. Llewellin, manager). 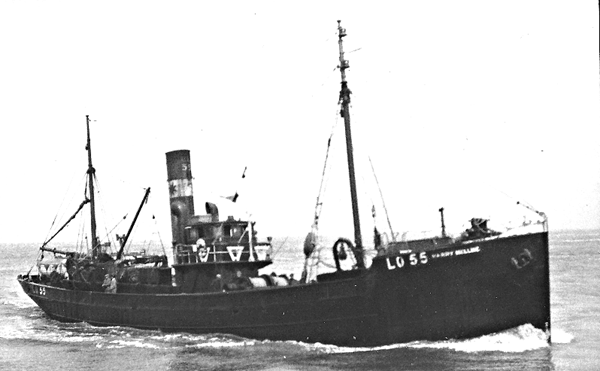 1948: Sold to Deep Sea Fisheries Ltd, London (Boston Deep Sea Fishing & Ice Co Ltd, managers). 1951: The Hewett Fishing Co Ltd, London & Fleetwood appointed managers. 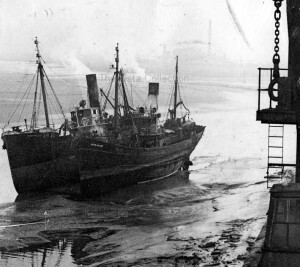 1955: Sold to Belgian shipbreakers for breaking up. 3.11.1955: Sailed Fleetwood for Ghent. Note STATEMENT BY THE MASTER OF THE STEAM TRAWLER “THOMAS LEEDS”, March 12 th, 1930. Whilst the trawler “THOMAS LEEDS” of which I am Skipper was fishing at the St. Kilda fishing grounds, in a position approximately forty five miles West by South of St. Kilda, and towing on a South South West course, the steam trawler “HARRY MELLING” of the port of Fleetwood, towing in a South South East direction passed astern of the “THOMAS LEEDS” fouling her fishing gear. While the two ships were heaving in their trawl warps in the process of clearing fishing gear, the steam trawler “PHRONTIS” from Fleetwood, FD142, apparently not knowing that the two ships’ fishing gear were foul, towed between the “THOMAS LEEDS” and “HARRY MELLING” and by doing so caused the three ships’ fishing gear to be fouled. The “HARRY MELLING” was the first ship to heave the three ships’ gears up alongside his starboard side and he was plainly seen by myself and my crew to use a hatchet and deliberately chop the fishing gear of the “THOMAS LEEDS” away, causing one trawling board, one hundred fathoms of trawl warp, one set of bridles and full trawl to be lost. The fouling of the gear was caused by the bad judgment on the part of the Skipper of the “HARRY MELLING”. ( Sgnd) Harry Gue, Skipper of the S/T “Thomas Leeds”. This entry was posted in Steam Trawlers, Steamers (Picture) and tagged Castle, Iago, Melling ST, William Melling & Joseph Melling on January 18, 2009 by Fred Smith.